Hello everyone, one of the first decisions to be made when planning a Walt Disney World vacation is whether or not to stay on Disney property. There are many factors to consider. 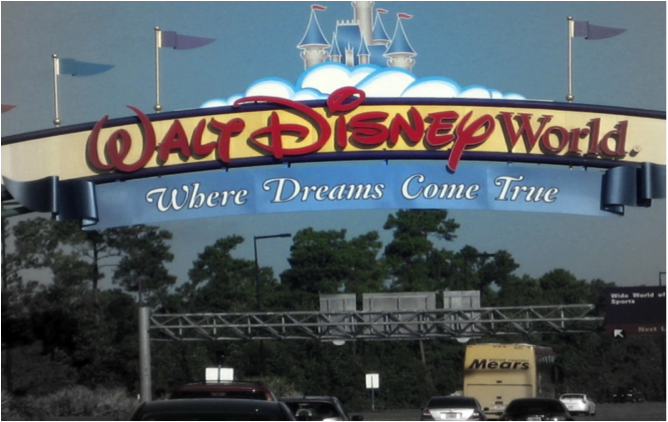 I will start off by telling you that personally, I prefer to stay at Disney hotels but will stay off property as well. The first question is what do you want to see? Now if this is your first trip to Orlando, I will usually follow-up this question quickly with who is making the trip with you. This is important because while younger children will be easily entertained by visiting the Disney parks, older children and teens may want the added amusements of Universal Orlando parks and/or Sea World. However, I will usually suggest that a first trip be “strictly” Disney as it’s exhausting trying to fit Disney and Universal into the same trip if you have not been to either and want to see everything. The next question is have you thought about transportation in Orlando? Disney does a great job of moving their guests around beginning with the journey from the airport. 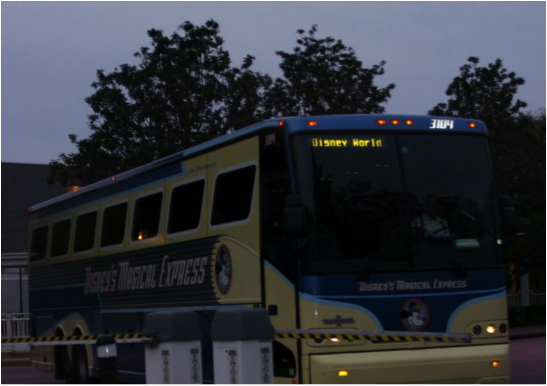 Disney resort guests can use Disney’s “Magical Express” which takes you from the airport to your hotel. My favorite feature about this service is that not only are they moving you but they move your luggage for you; in fact you don’t even need to hit baggage claim when you land. The only downfall to that is that typically your luggage arrives in your room a while after you actually check in. However, this can be remedied by putting your most pressing necessities into your carry-on luggage. This also works in reverse as Disney resorts have an airline check in counter near their bell services site so that you check in for your flight, give your luggage to the staff and you needn’t worry about your luggage until you collect it at baggage claim when you land at your destination airport. This is also a great feature if you have a later flight and you want to hit your favorite park or do some shopping before you head home, just remember that you won’t be able to access your luggage so place any needed items into a small backpack or a purse. Disney also runs buses/boats and the Disney monorail to transport guests from their hotel to the parks. Off property guest transportation options are to rent a car (remember that there is a fee to park at both Disney and Universal Orlando) or use the hotel shuttle network. Mears Transportation can move you between your hotel and the airport (for a fee) and most hotels offer schedules shuttle service. More importantly, Disney offers many perks to their on-site guests that I think make up for the higher room costs. A great perk are the “Extra Magic” hours. Each day a Disney park opens an hour early or stays open later. This reduces the number of guests in the park and cuts down on ride waits. Another extra is that rather than carry your purchases around with you throughout the day, you can have items delivered to your hotel room (it can take up to 24 hours for the delivery so you don’t want to use this perk on your last day). Hotel guests can also package their hotel stay with park tickets and even meals which are then added to your room key creating a lot less items that you need to carry and keep track of. Lastly, Disney hotels are clean, comfortable and themed. You will find that the many small details at each hotel will keep you interested and alert. Let us know if there is something you’d like to know that we haven’t covered! Enjoy your Disney dreams and keep thinking of your next vacation! Check out DW Tickets for your Disney Ticket Needs! Previous Post: My Dreams of Disney REALLY Came True!